While some herniated discs can be the result of sudden trauma, most are caused by the gradual wear and degeneration that come with age. Exercise is a common method used by doctors to help treat and prevent herniated discs. When you strengthen your back muscles, they can take some of the pressure off of your spinal discs by providing more support for your spine. 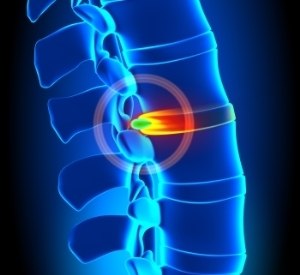 With less pressure on them, your spinal discs are less likely to rupture. Speak with your doctor about exercises that will help you avoid herniated discs. While strengthening your back muscles can relieve some of the pressure on your spine, it’s important to realize that your body weight plays a significant role in the prevention of herniated discs. When you are carrying extra pounds, the surplus weight continually strains your back and puts you at a greater risk for disc herniation. If you are overweight or obese, ask your doctor about exercises and diet modifications that can help you manage your weight. Much like carrying extra pounds on your body, poor posture puts added strain on your spine and can increase your chances of suffering a herniated disc. To achieve better posture while walking, make an effort to keep your hips, shoulders, and ears in a straight line. It’s also important to protect your spine while you’re sitting. You can place a cushion between you and the back of your chair to encourage you to sit up straight. Also, do not cross your legs and instead, keep both of your feet flat on the floor, adjusting your seat height if necessary.